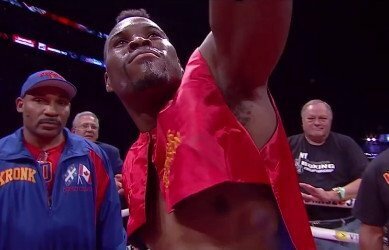 By Joseph Herron: On October 12th, 1012, Super Middleweight contender Adonis “Superman” Stevenson knocked out Donovan George in spectacular fashion in the final round of a very entertaining twelve round slugfest to become the IBF mandatory opponent for current 168 pound title holder Carl “The Cobra” Froch. According IBF bi-laws, Froch was given 90 days to negotiate a title defense with the number one contender after dispatching Yusaf Mack in three rounds on November 17th, 2012, in Nottingham, England. But now, according to a spokesperson for the IBF, Adonis will have to step aside and wait until a unification bout between WBA title holder Mikkel Kessler and the incumbent IBF champ takes place. After Mikkel Kessler knocked-out Brian Magee in three rounds on December 8th in Herning, Denmark, the Viking Warrior became the WBA Super Middleweight Champion and bumped a potential grudge match into first class, creating a highly anticipated Super Middleweight unification bout. But upon completion of the WBA/IBF Championship contest, it could theoretically be a lengthy period of time before Adonis Stevenson sees action in the ring. Stevenson’s trainer, Javan “Sugar” Hill, would like to see his fighter schedule an activity bout during the grace period. Negotiations between Froch and Kessler are currently taking place for the upcoming rematch and unification contest, which is rumored to be slated for a date in March. Although the rematch is assumed to be headed for a location in the UK, Nottingham will more than likely not host the big event. Both Carl Froch and Mikkel Kessler are alleged to be making around $2 Million apiece for their upcoming efforts. After Andre Ward’s decision to bypass a fight with former Middleweight Champion Kelly Pavlik and undergo shoulder surgery, the unification battle between Froch and Kessler should be the biggest event in the Super Middleweight division throughout the first half of 2013.